The class quickly grew to a fleet of 19 boats. They proved highly successful both in local and inter-port racing from Lyme to Starcross. The boats were generally referred to as Axe Ones, however in February 1959 the class name was officially adopted at the A.Y.C . AGM to become know as the Axe One Design (A.O.D.) and class rules were drawn up to standardise the fleet. This is a list of owners as recorded in 1959, some of the boat numbers had been re-designated from the original designation of 1954. Unfortunately, Bernie Webber’s boat was lost during a summer gale of that year, having been washed off the beach from in front of the club house and totally wrecked. Another boat known to have been destroyed was Roy Perry’s No.4. She had been mysteriously and unfortunately burnt on Pakefield beach in Suffolk. Subsequently a few more ‘Axe Ones’ were built during the 1960’s. 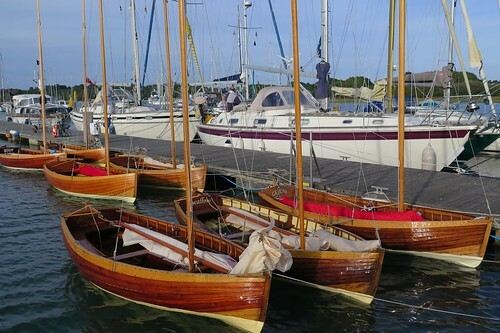 These were built by the Axmouth boat builder Harold Mears. However, the boats were built without using the templates and differed in shape, this may be the reason why there is no record of them being numbered. 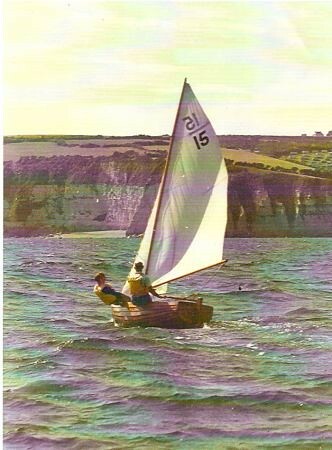 There are some classic photos of Axe Ones being raced in the Bay during Beer Regatta 1966: Gemini (strangely her number had changed to No.12) being raced by David Mettam with Stephen Daniel crewing, also Norman Anning sailing No.15 with Jack Daniel crewing. 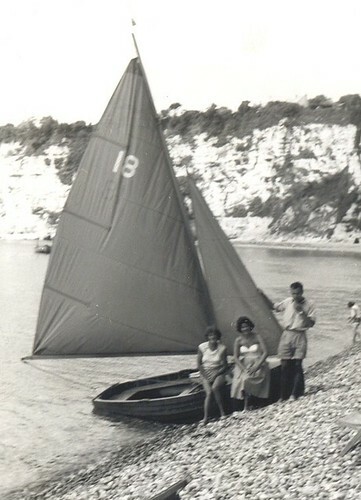 During the late 1960’s the class had been overtaken by more modern dinghies such as the Enterprise and then the Scorpion. By 1970 the Axe One Design had effectively been superseded as the club’s racing class. A few of the boats remained on the beach, however they slowly disappeared; presumably sold outside of the AYC and locality. In the same year Jack Drew died and his boats, Whimbrel and the original Curlew lay stored away in Jack’s hut on the beach. 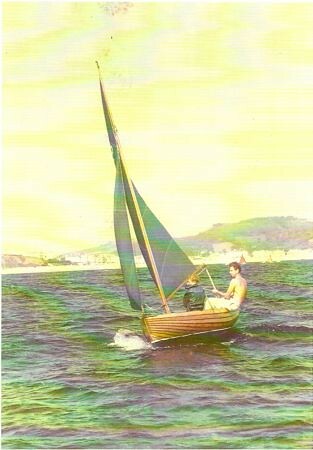 Jack Bradshaw, Vice Commodore in 1973 approached Rene Drew, Jack’s widow and offered to restore Curlew. Unfortunately the boat was in a fragile state, although she was made temporarily seaworthy by applying a GRP sheathing. She was used as a rowing boat in the harbour but never sailed again, eventually rot took hold and the boat was burnt. Whimbrel remained in Jack’s hut. Finally Rene decided to dispose of Jack’s hut in 1983 (the site is now occupied by the local Canoe Club) and also decided to sell Whimbrel. This is where Nigel Daniel took an involvement, Rene had a potential buyer who required a test sail on the estuary, Nigel was asked to help out. Having got the boat out of the hut and rigged up, it was apparent that Whimbrel was in near perfect condition. The hut had provided the ideal storage conditions over the years.The gentleman requiring the test sail had brought along his young nephew. Fortunately for Nigel the sail on an ebbing neap with a fresh southerly breeze proved too lively. On returning to the slipway the gentleman decided the boat was not for him, all three of them having come ashore a little damp! Nigel duly reported to Rene that he had sold the boat for her and inadvertently became the proud new owner of an Axe One Design. Whimbrel has sailed every year since, joining in with some of the AYC general handicap races both in the Bay and on the river. The addition of an extension tiller and a kicking strap, (to avoid those awkward Chinese gybes) have been the only changes to the original design.